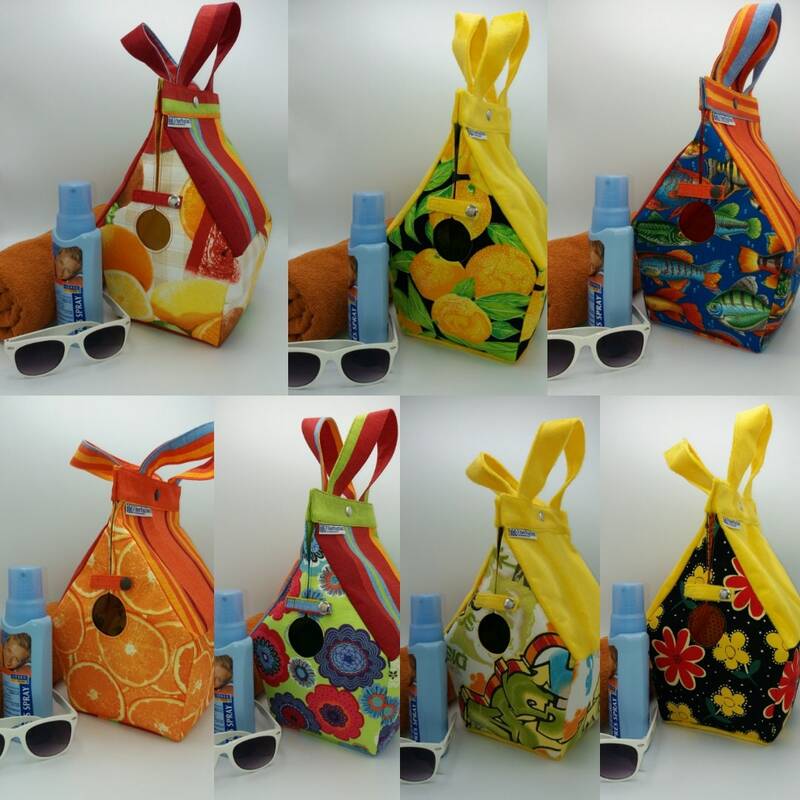 The summer series has bright colors and fun prints. Which one will you pick to hold your holiday knitting? 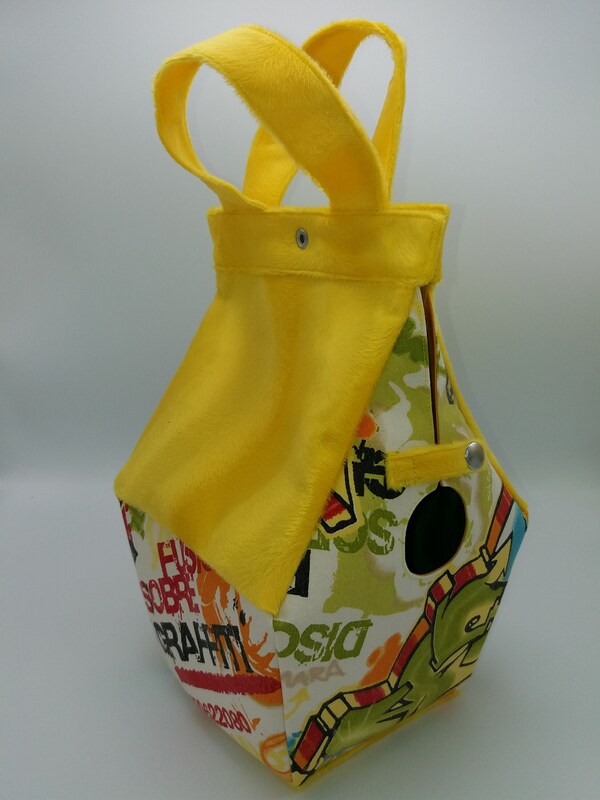 This size bag can easily hold over 500 g of yarn plus supplies, your ipad will fit in too for example. 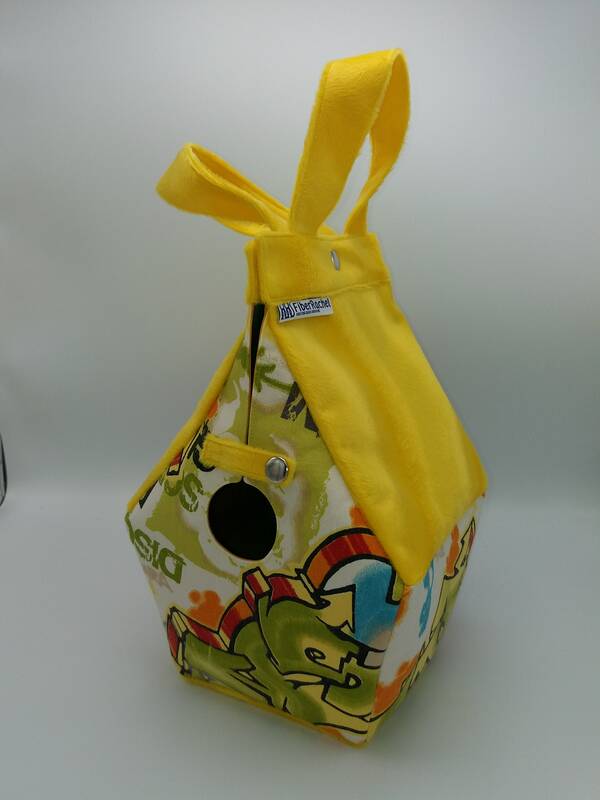 This bag shaped like a birdhouse is meant for knitting, crochet or spinning projects. Your yarn or fiber can be left in the bag and lead through the hole while you work on your project. 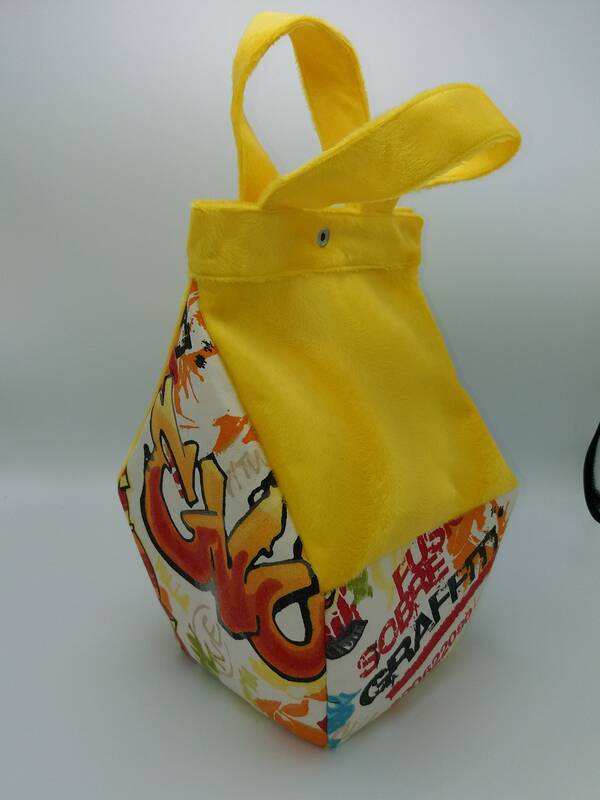 You can even walk around with the bag on your arm and it will keep your yarn from rolling around. 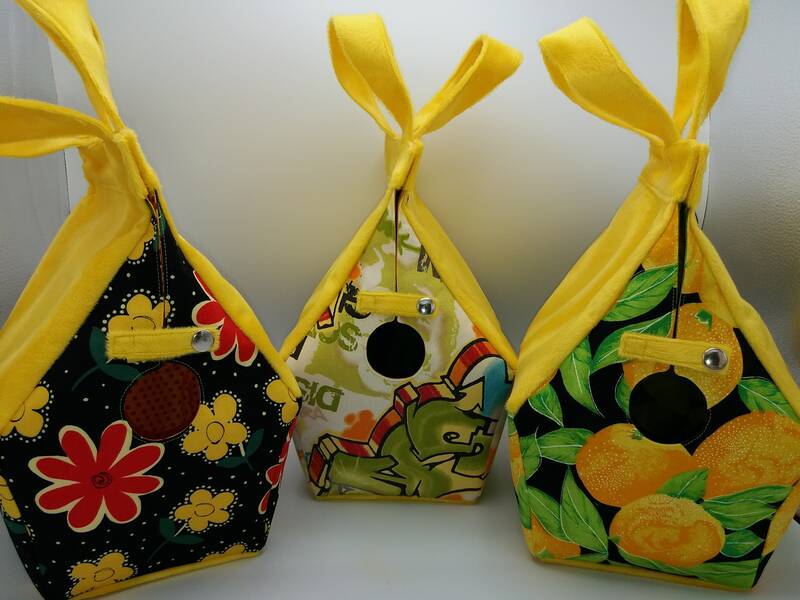 Made from interfaced cotton fabric and a padded cotton lining. 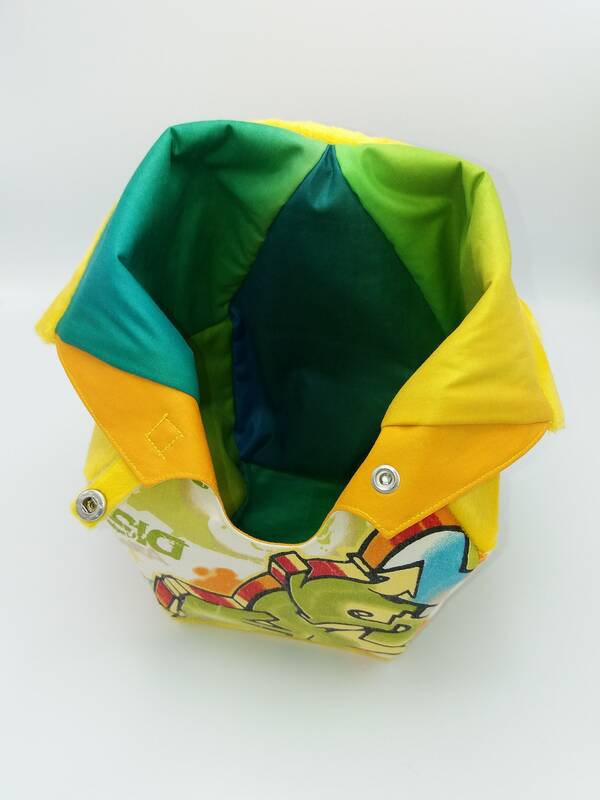 Two press buttons are used to close the bag and the opening at the front. 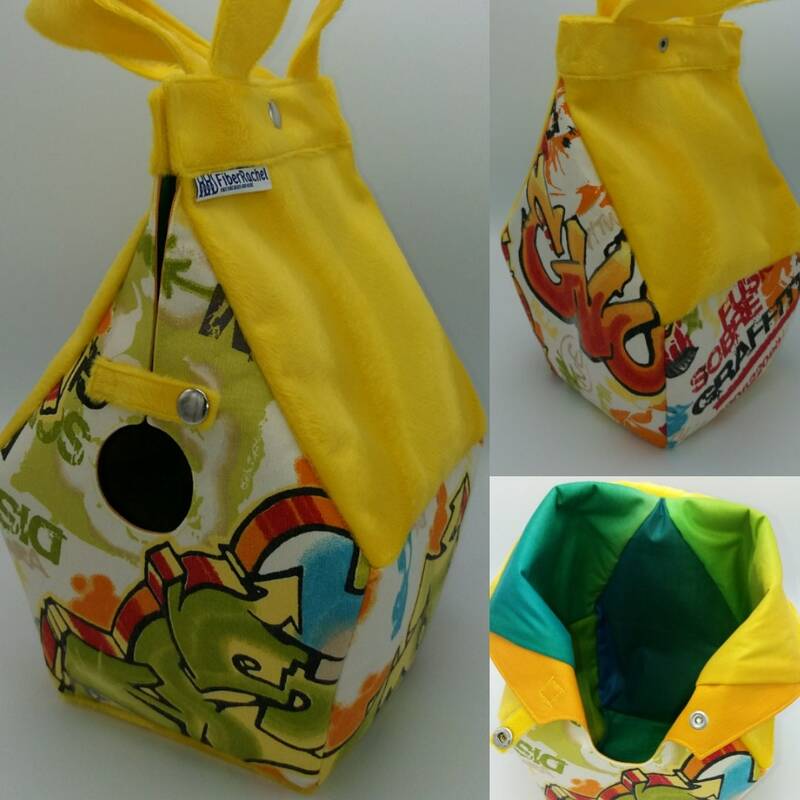 the base is about 15 cm x 15 cm/ 6" square and the bag is about 30 cm/12" high, including the handles it is 45 cm/18" high. The widest section is 20 cm/8" square. 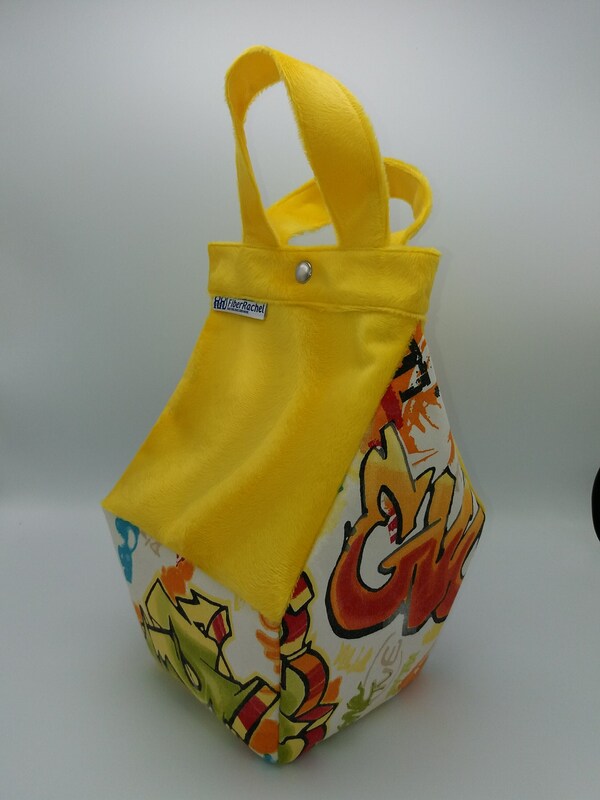 This bag is my own design for Fiberrachel. To fulfil your order, you must provide me with certain information (which you authorized Etsy to provide to me), such as your name, email address, postal address, payment information, and the details of the product that you’re ordering. 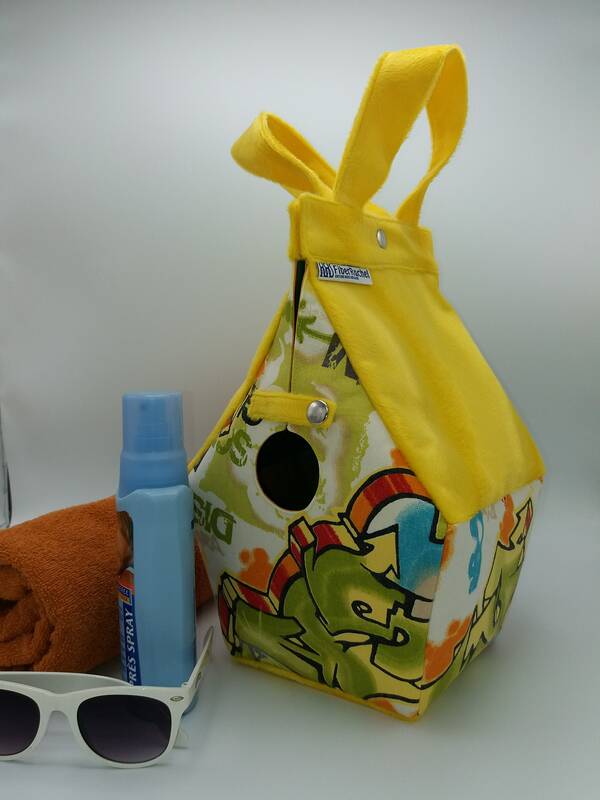 You may also choose to provide me with additional personal information (for a custom bag order, for example), if you contact me directly. - Service providers. I engage certain trusted third parties to perform functions and provide services to my shop, such as postal services and my bookkeeper. I will share your personal information with these third parties, but only to the extent necessary to perform these services.